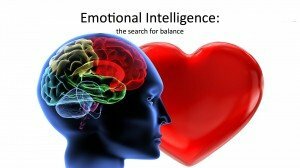 Emotional intelligence (EQ) is the ability to identify, manage and utilise emotions in positive ways. Effective emotional management helps us communicate more effectively, reduce stress, empathise with others and defuse conflict. 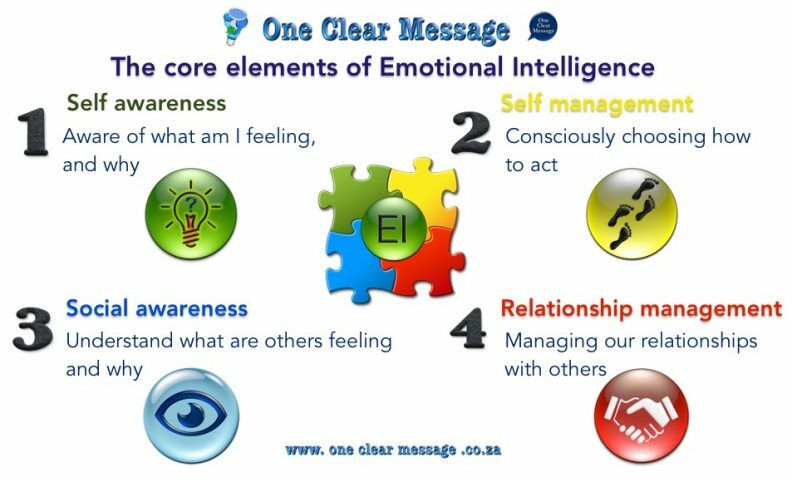 Effective management enables us to recognise our own (or others) emotional state and engage with others in a positive manner. This understanding of emotions helps us form healthier relationships, relate better to others, achieve greater work success, and lead a more fulfilling life. Self-awareness – Recognising our emotions and how they impact our thoughts and behaviour, knowing our strengths and weaknesses, and develop self-confidence. Self-management – The ability to control our impulses and behaviours, manage our emotions in healthy ways, take initiative, follow through with commitments, and readily adapt to changes. Social awareness – Understanding the emotions, needs, and concerns of others. Pick up their emotional cues, feel socially comfortable, and recognise group dynamics. Relationship management – Knowing how to develop and maintain healthy relationships, communicate clearly, inspire and influence others to action, work well with others, and manage conflict. Work performance. Emotional competencies can help us navigate the social elements of the workplace, impact, lead and motivate others positively leading to career growth. A rising trend in assessing the job fit of candidates is emotional intelligence competencies. As business requires relationships to function efficiently , EQ is becoming as important as technical ability in hiring. Physical health. Managing our stress levels has a direct impact on our health. Uncontrolled stress can increase blood pressure, suppress our immune system, add to the risk of heart attack and contribute to infertility issues. 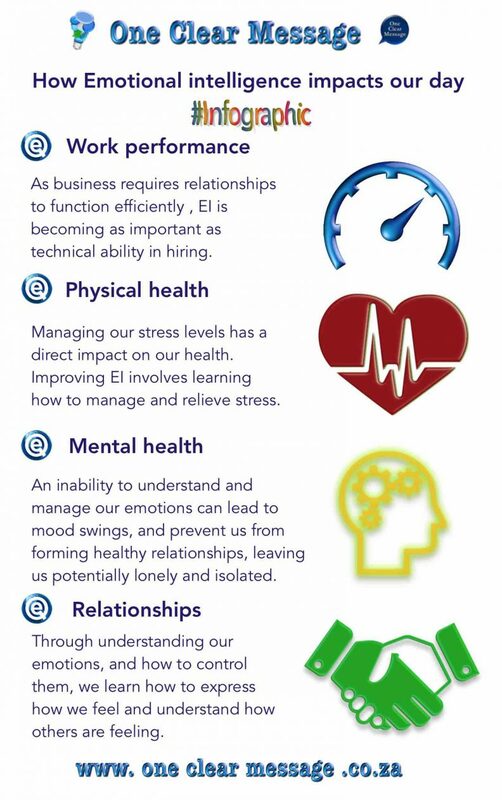 Improving emotional intelligence involves learning how to manage and relieve stress. Mental health. Excessive stress can make us vulnerable to anxiety and depression. An inability to understand and manage our emotions can lead to mood swings, and prevent us from forming healthy relationships, leaving us potentially lonely and isolated. Relationships. Through understanding our emotions, and how to control them, we learn how to express how we feel and understand how others are feeling. This allows us to build stronger relationships, both at work and in our personal life, though more effective communication.